The Anglo-Japanese Alliance Treaty was first signed in January 1902 and was seen as a major milestone in diplomatic relations as well as seeing an end to Great Britain’s ‘Splendid Isolation’ policy. 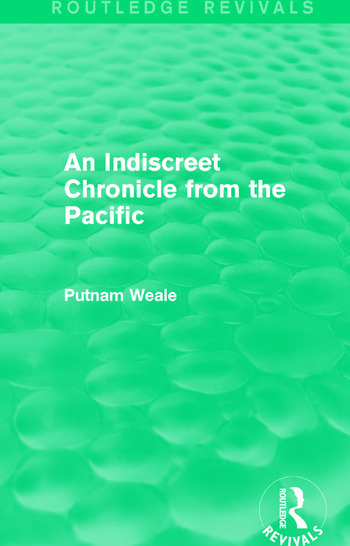 Originally published in 1922, Weale’s study aims to outline the steps taken to bring about the demise of the treaty with a focus on how countries such as The United States and Canada contributed to this. This title will be of interest to students of Politics, International Relations and Asian studies.